We should be concerned about the seafood we consume. It is rather difficult for the average consumer to determine how old the seafood is, where it was harvested, or how many middlemen have handled the seafood by the time it makes it to a typical grocery store. On average our Seafood is 3-8 days fresher compared to what is available at most seafood stores. At Anderson Seafoods, we believe that a seafood-rich diet is the perfect fuel for a healthy lifestyle. The health benefits of eating seafood make it one of the best meal choices for growing children, active adults and seniors. Seafood contains a large amount of quality protein; lean fish muscle contains the same amount of protein by weight as beef or poultry, but with far fewer calories. The American Heart Association recommends eating seafood at least two times a week. By sourcing directly from a variety of seafood sources, we ensure the traceability, sustainability, and quality for the seafood you eat. 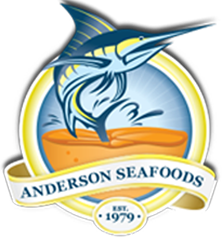 Anderson Seafoods operates under a rigid HACCP program and voluntarily subscribes to the voluntary government inspection program. 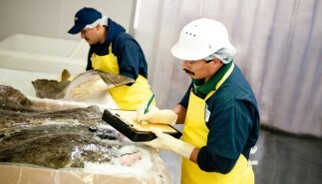 Anderson Seafoods ranks among the 2% of food companies that are USDC inspected. Our facilities are routinely inspected by Certified Laboratories, a leading FDA-approved food analytical company, to confirm freshness and proper handling seafood practices. We operate around-the-clock temperature control monitoring systems, thereby ensuring that the refrigeration systems perform perfectly, and any possible power or compression failures can be prevented before they occur. We receive Seafood from a variety of sources which have each passed rigorous guidelines. We have established our own global network of direct seafood sources for live, fresh and frozen seafood products, including select fisheries in Mexico, Hawaii, Alaska, Canada, the Pacific Northwest, the East Coast, Europe, Asia, and South America. All of our seafood sources are HACCP approved and have provided us with a consistently high-caliber of seafood which we are proud to prepare and distribute to our customers for more than 37 years. Above all, the safety of our product is important to us and our producers. We rely on studies and testing done by governmental and independent third parties. By regularly tracking these studies and tests, we are confident that the seafood we offer is not only safe, but the best option for consumers. We are committed to bringing you seafood from the best fishermen and producers around the world.